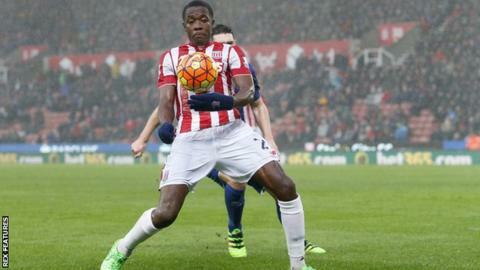 Stoke City's £18.3m record signing Giannelli Imbula could leave the club this summer, manager Mark Hughes says. The 24-year-old Belgium-born midfielder has made just 23 Premier League starts since joining from Porto on a five-and-a-half-year contract in February 2016. "Sometimes things just don't pan out as you hope," Hughes said. "It has been a frustration for all parties involved. It's fair to say with Giannelli that things haven't quite worked out." Imbula became Portuguese football's record signing when he joined Porto in a £15.1m deal from Marseille in July 2015. "He hasn't quite adjusted to the Premier League," added Hughes. "If there is interest in him then we would consider that. We haven't had any interest, in fairness, but we would look at things if the right offer came in."